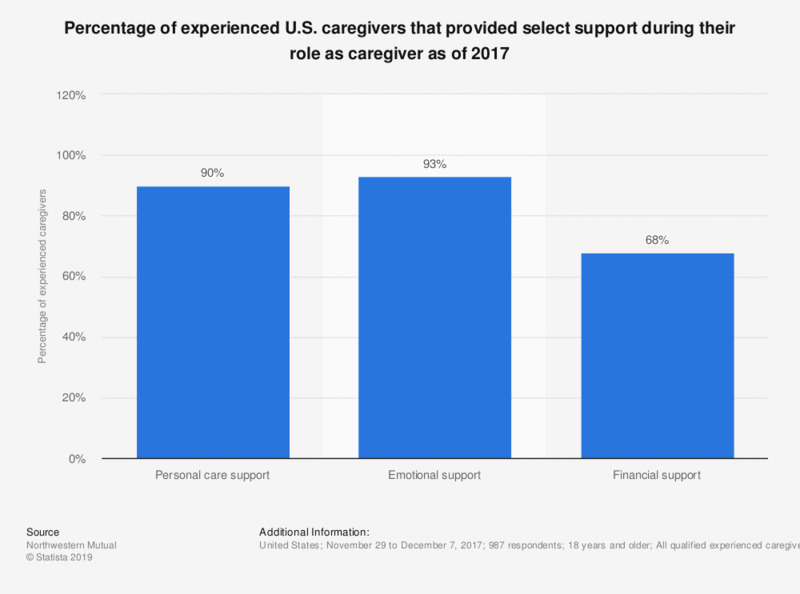 This statistic displays the percentage of experienced U.S. caregivers that have provided select types of care or support during their time as a caregiver as of 2017. According to the data, 90 percent of survey respondents provided personal care support during their work as a caregiver. Original question: "In your role as a caregiver, which of the following aspects of care do you/ have you provided?"